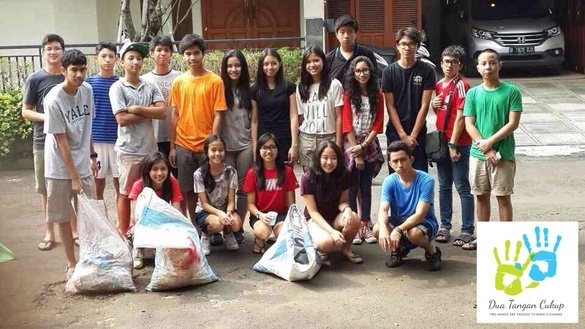 The students of Mentari International School, Jakarta have been busy cleaning up the areas around their school through several cleanup actions. 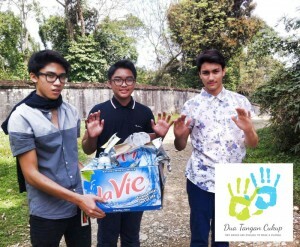 Grade 10 students have been getting their hands dirty by picking up rubbish around their school, located on Jl. Haji Jian, South Jakarta, on Sundays in an attempt to clean up their environment and make a change. The students have been running cleanups on Sundays for several weeks, started by picking up rubbish found around the school. Since they couldn’t find rice sacks or sugar sacks to use, they used black plastic bags, but they reuse the bags for future cleanups. Students have set up five cleanups of one and a half hours each for their school’s Community and Service Project, and have already completed two. The next three will take place over the next month. Their guidance counsellor will also be doing small clean ups with the 6th grade students sometime in the next month. Grade 10 students even continued to pick up rubbish at school trips abroad. On their Community Study Week trip in Vietnam, the students visited a tomb and noticed lots of trash in the area, and decided to collect what they could on their walk through the complex. They believe that small actions can make a big difference. Mentari International School Jakarta will also be participating on Clean Up Jakarta Day 2014.